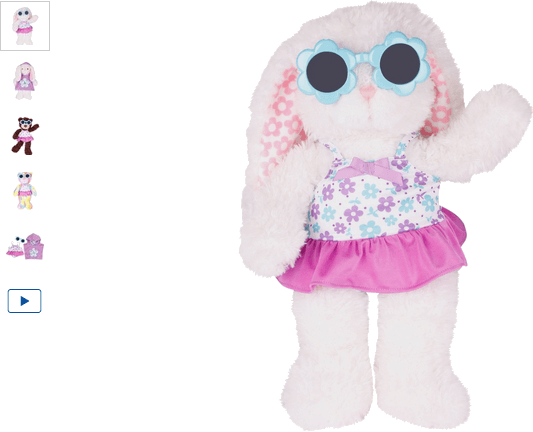 Your DesignaBear will be all set to make a big splash with this amazing Chad Valley Design-a-Bear Swimming Costume. The pretty printed floral design with frill at the waist will ensure Bear stands out plus the hooded towel poncho with flower decoration and flower shaped sunglasses completes the look. Absolutely ideal for a fabulous day lounging at the seaside or a resort. Get money off with April 2019 free Argos voucher codes, see if there's a promo code for the Chad Valley Design-a-Bear Swimming Costume product. Argos may be out of stock of this product. To enhance your shopping experience you may also be redirected to a search results page when you click an outbound link. 3.5/5 from 2 recent reviews.